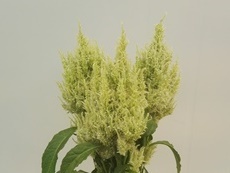 This type makes a lot of thin feathers together forming a plume. 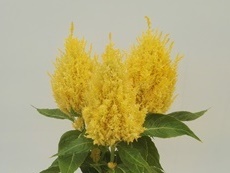 At the introduction in 2019 of – yellow improved there will also be a nice “Ice cream” mix available. 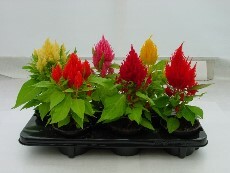 There’s also a mix available of yellow, scarlet and red. 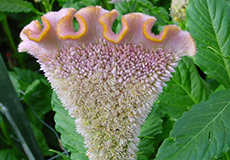 Near flowering the plant forms a comb with a curl on top. 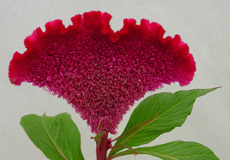 There are two types: the cockscomb with thick curls of the “Neo” series and the more flat form of the “Bombay” series, of course also with a curl but less thick. 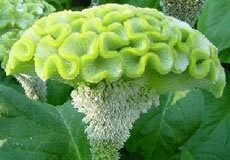 Next to that old varieties exist of the global ( round ) forms, common called “brain types”. 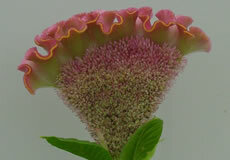 Those are these days old fashioned, worldwide hardly grown, and we don’t have that in our assortment. 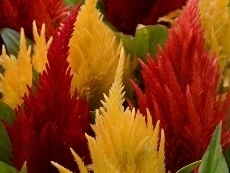 Larger ( and clearer ) pictures screenwide on the news page. 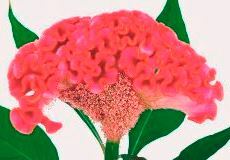 Old pink. 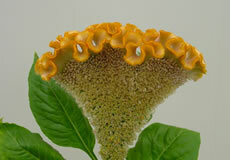 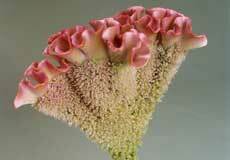 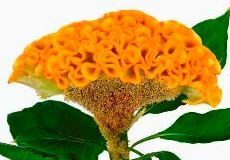 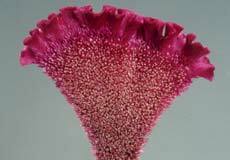 Cutflower, special soft colour. 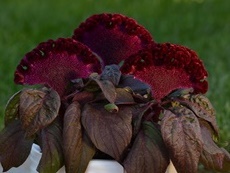 Blood red and dark leaved. 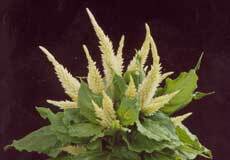 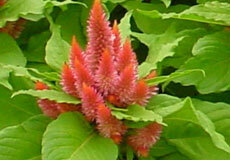 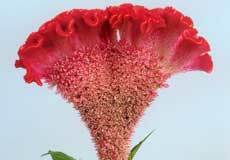 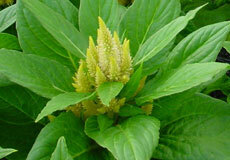 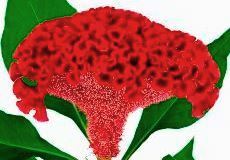 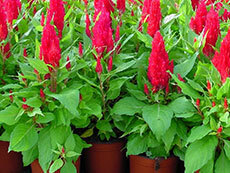 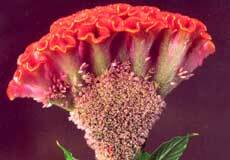 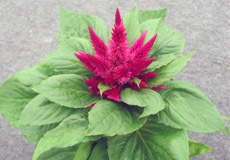 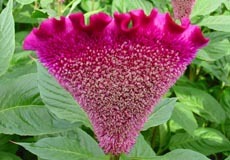 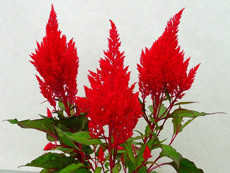 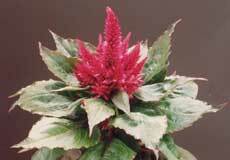 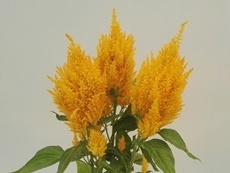 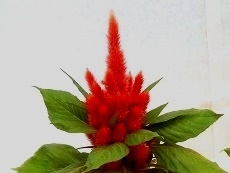 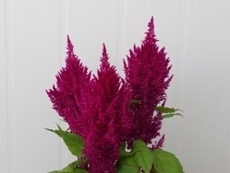 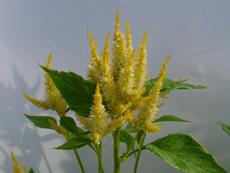 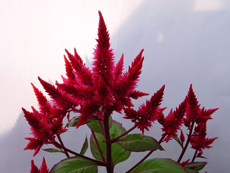 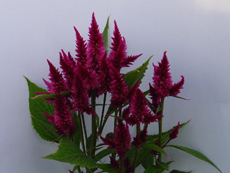 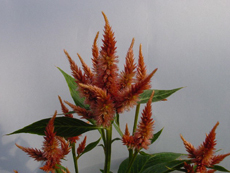 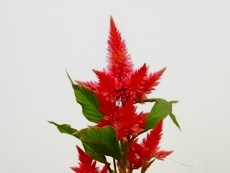 A type of Celosia forming spears/needles, mostly in a bunch. 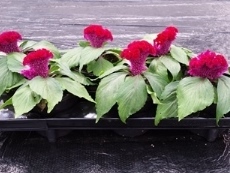 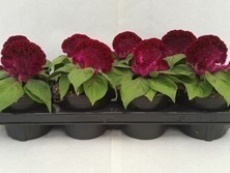 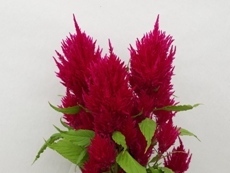 Purple red, dark leaved, compact spicata potplant, can be used for gardening as well as in “warm” countries. 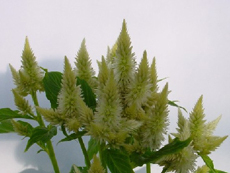 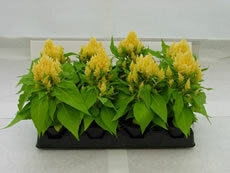 Cream white, compact spicata potplant, can be used for gardening as well as in “warm” countries. 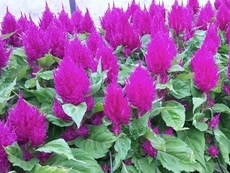 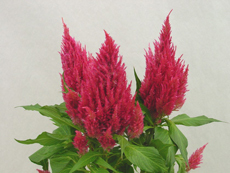 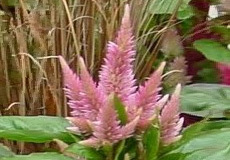 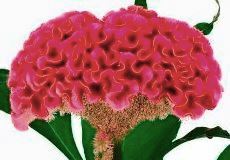 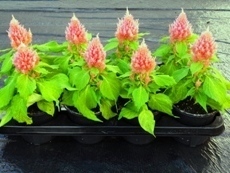 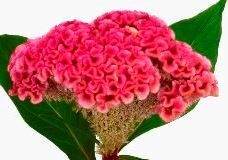 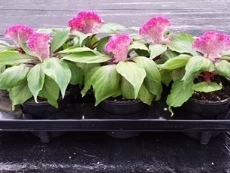 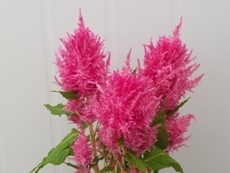 Pink, compact spicata potplant, can be used for gardening as well as in “warm” countries. 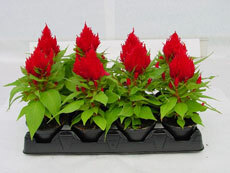 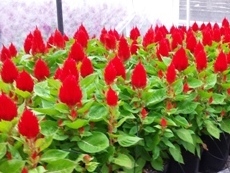 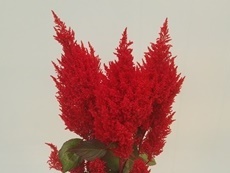 Cherry red, compact spicata potplant, can be used for gardening as well as in “warm” countries. 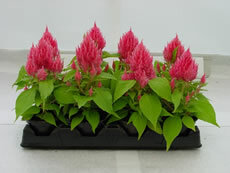 Pink Salmon, compact spicata potplant, can be used for gardening as well as in “warm” countries. 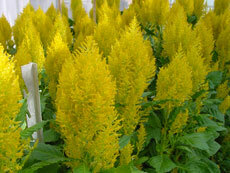 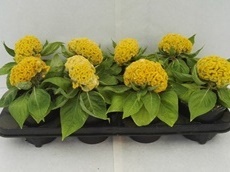 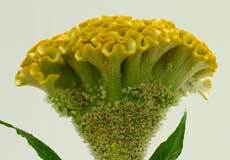 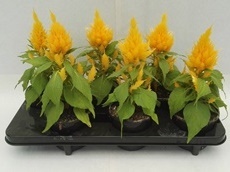 Bright yellow, compact spicata potplant, can be used for gardening as well as in “warm” countries. 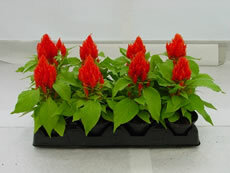 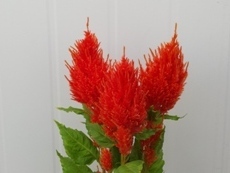 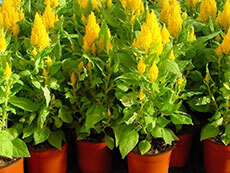 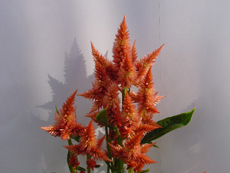 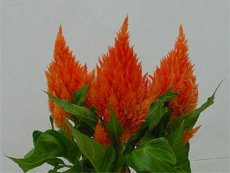 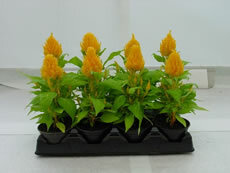 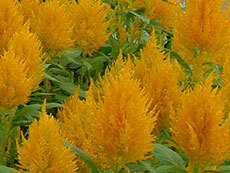 Flaming orange, compact spicata potplant, can be used for gardening as well as in “warm” countries.